With so many islands – 718 islands, 389 islets and 78 reefs to be exact; how to set a sailing itinerary? Well, it is not an easy task, but follow us, as we share different sailing itineraries (thanks to a little help from friends) that may help you make up your mind. So, let’s start with an easy sailing route, perfect for the less-experienced, or those who want an easy itinerary with a mixture of highlights, history and nature. 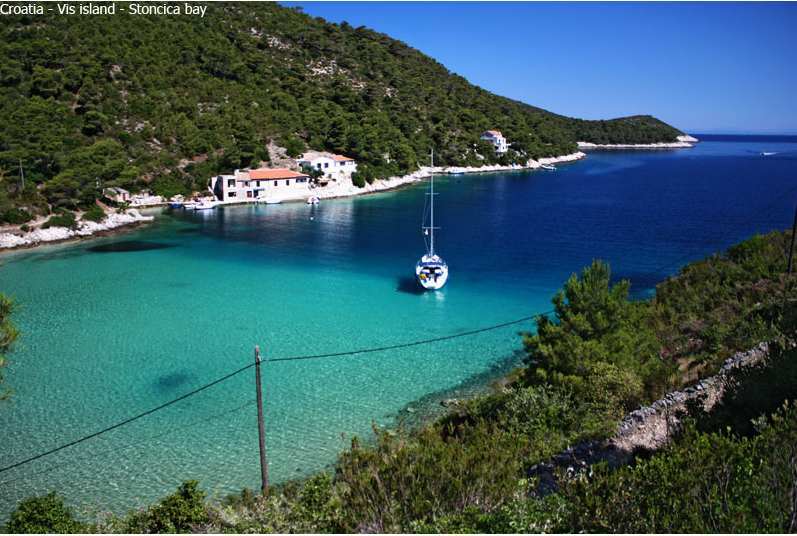 Pučišća is a gorgeous village on the north side of island Brač and is very well sheltered from all winds. The island Brač is the largest island in Dalmatia as well as the island with the highest point, with Mount St. Vid standing at an impressive 780 m tall. Already you can understand the natural beauty of this destination. 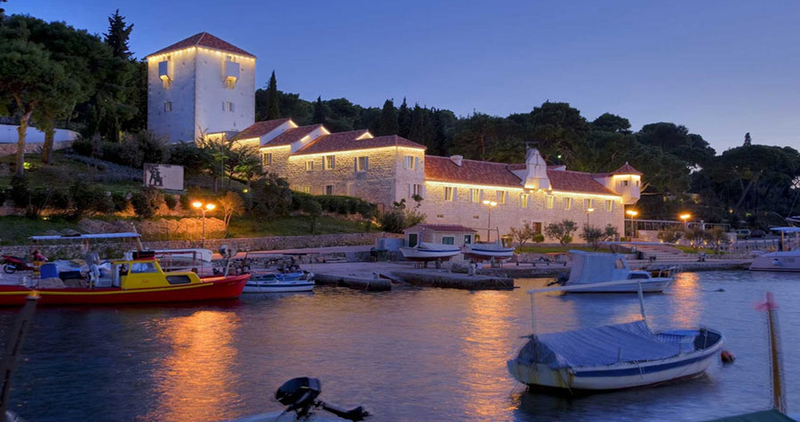 Brač is famous for many things, most notably – its white stone. Romans arrived in 167 BC and began quarrying the limestone. Diocletian’s Palace was built with this stone and something a little more modern too – stone from the quarries of Pučišće is also in the White House. The town itself is a beautiful, peaceful destination and of course, all of the houses are made from stone. The town (which is still somehow fairly undiscovered), was also named among the top 15 most beautiful small places in Europe. 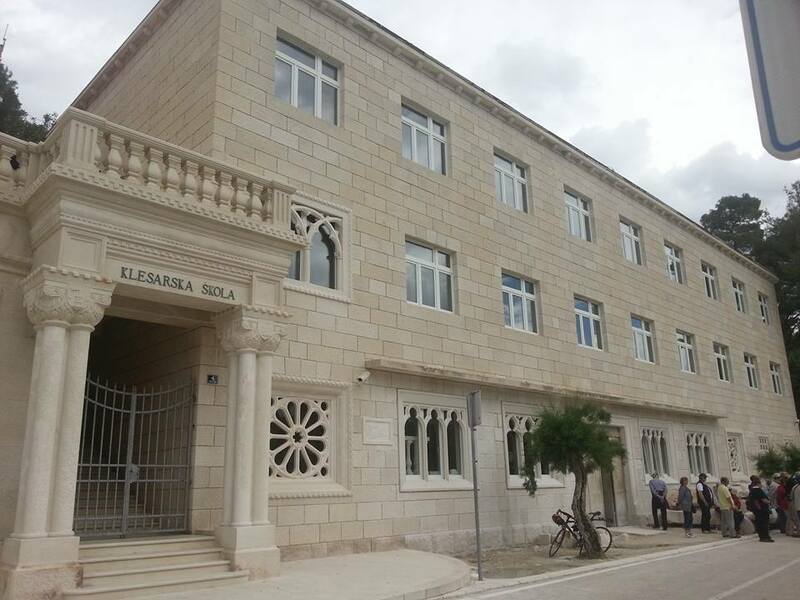 Pučišća also has a century old Stone Masonry School, which speaks to the town’s pride and heritage. It is open most days for visitors, where you can see some masterpieces and current works from the students, read more about the Stone Masonry School here. 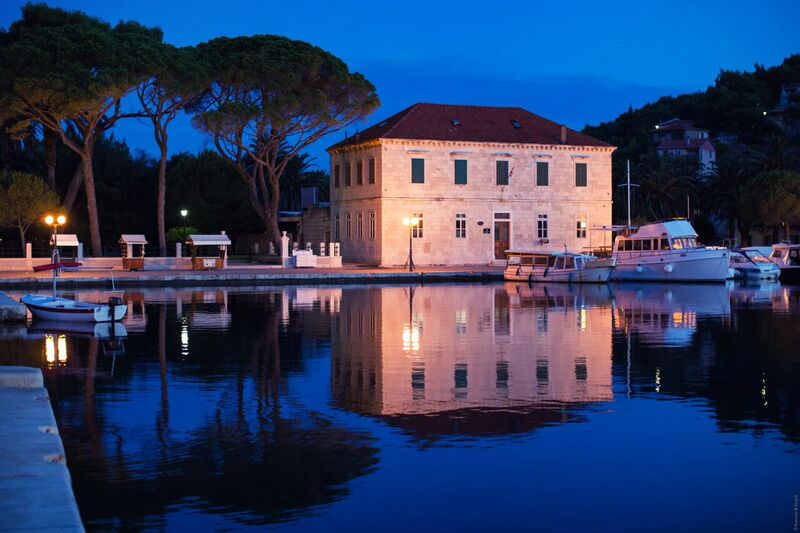 Bol is on the south side of island Brač, it is the oldest coastal settlement on the island and rests at the foot of the Vidova Gora mountain. 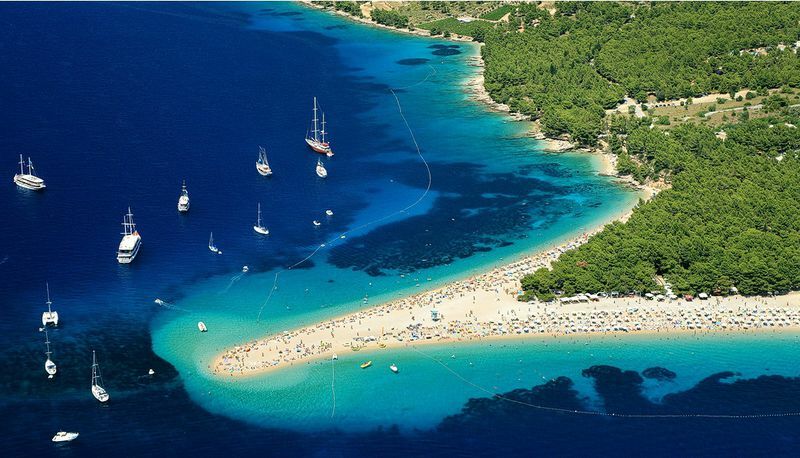 If you are visiting Croatia, there is no way that you haven’t seen an image of Bol, or more specifically – Zlatni Rat beach (Golden Cape). If you were looking for an image to represent Croatia, this is one of them! The farthest end of the beach can shift depending on weather conditions, especially in strong Jugo winds (SE, Sirocco) and the shape of the beach as a whole, changes every 2 – 3 years. 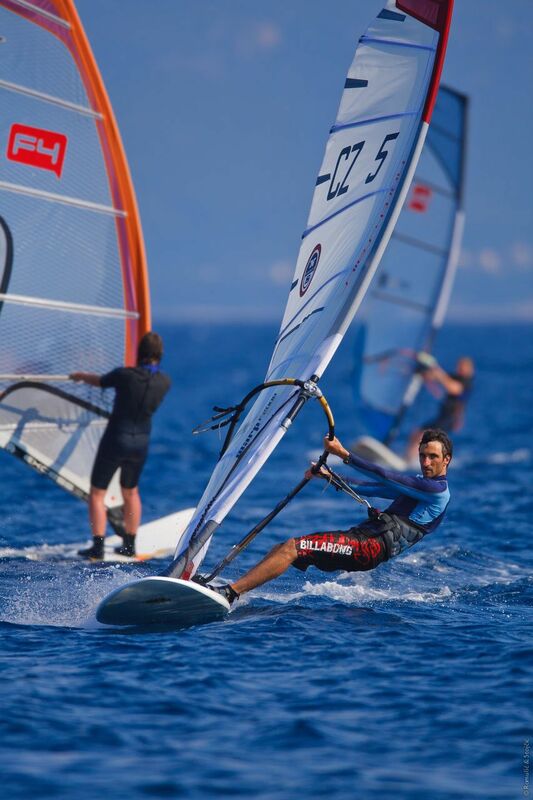 As well as its shape, Zlatni Rat is famous for water-sports, so if you want an adrenaline fix, it is the perfect spot for wind surfing or kite surfing, or if you are with your family – the inflatable water park can provide hours of entertainment! Another point worth mentioning is Stina Winery – it is directly on the waterfront, so easy to pop in for a wine-tasting and cellar tour, or just to sit and enjoy a gorgeous glass of award-winning wine. For dinner, try Taverna Riva, which has a lush terrace that somehow keeps the crowds at bay, not the cheapest option, but it is fresh, quality food and excellent service. 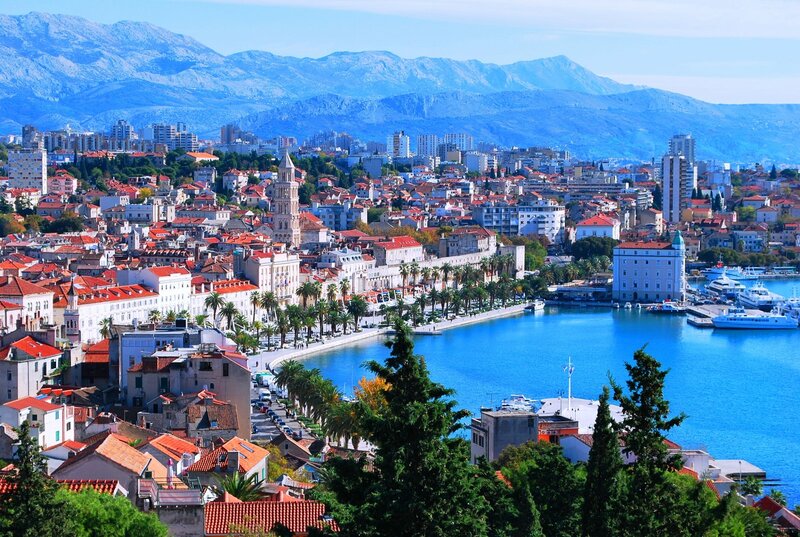 Unlike Pučišća, Bol is definitely a more tourist-oriented town, we’re not gonna lie – the town and beaches get absolutely packed during high season. You can dock in Bol (VHF 10) or maybe anchor in front of Zlatni Rat beach if you want to keep some privacy and steer clear of the crowds. Jelsa is Hvar’s third largest town, beautiful and quaint, it is located ‘off-the-beaten-path’ in the middle of island Hvar. It is a town surrounded by gorgeous bays, nature, eco-farms, fields filled with olive groves and vines… Speaking of wine, Jelsa is known as the ‘town of wine’ thanks to its location and harbour which used to be filled with wine boats coming and going, transporting wine all around Europe. So, wine tasting of any description is recommended here and if you happen to be in town on Thursday, watch out for ‘wine evenings’. A restaurant must, if you wish to experience genuine Dalmatian hospitality is Me and Mrs. Jones, you can read our in-depth account here. 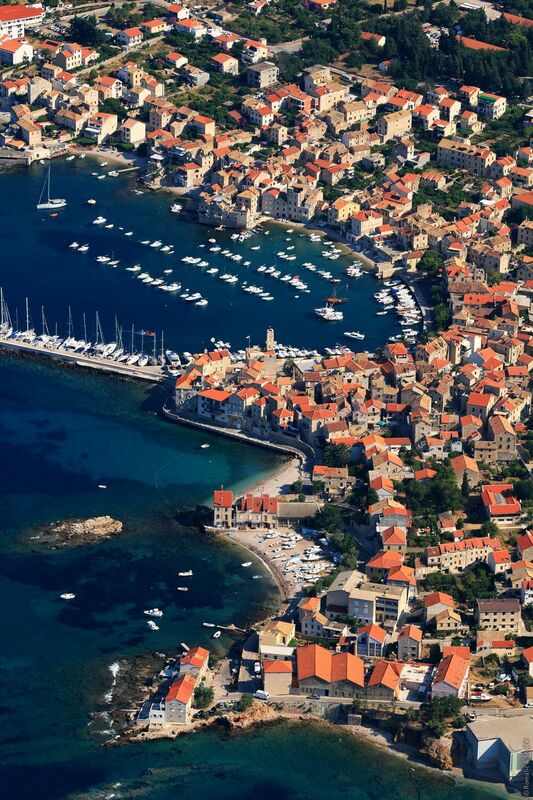 The island of Vis was first settled by the Greeks in 4th Century BC and was known as “Issa”. It is an island which has managed to maintain its authentic, domestic charm – probably owing to the fact it was closed to the public until the late 90’s as it was a military base during WWII. The history of Vis is more than fascinating, read our ’25 things to know’ series to learn more. Stončica is actually the name of the lighthouse and cape and is located on the east side of the island 3 Nm from the port of Vis. It is a quiet, peaceful area, perfect for families with its gorgeous sandy beach, the bay is surrounded by lush Mediterranean greenery and is an ideal location to drop anchor and enjoy. Anchor here during the day, then dock or anchor in the Vis harbour during the evening. Our recommendation? 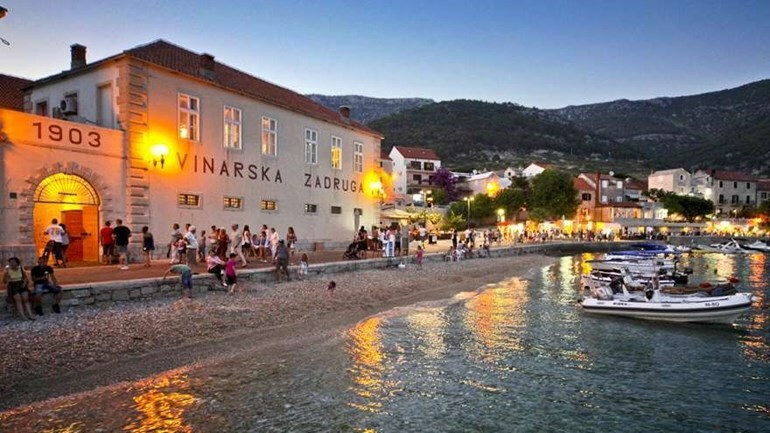 Spend an afternoon swimming in Stončica, maybe even visit the lighthouse, then make your way into the town of Vis to enjoy a balmy summer evening, there are plenty of restaurants and live music to keep you entertained – suitable for all ages. If you want a special dinner, we recommend Lola’s restaurant, an absolute gem, hidden down the winding alleyways of Vis. Ah Komiža… our heart just flutters thinking about this ‘darling little town’ (read more about Komiža here). 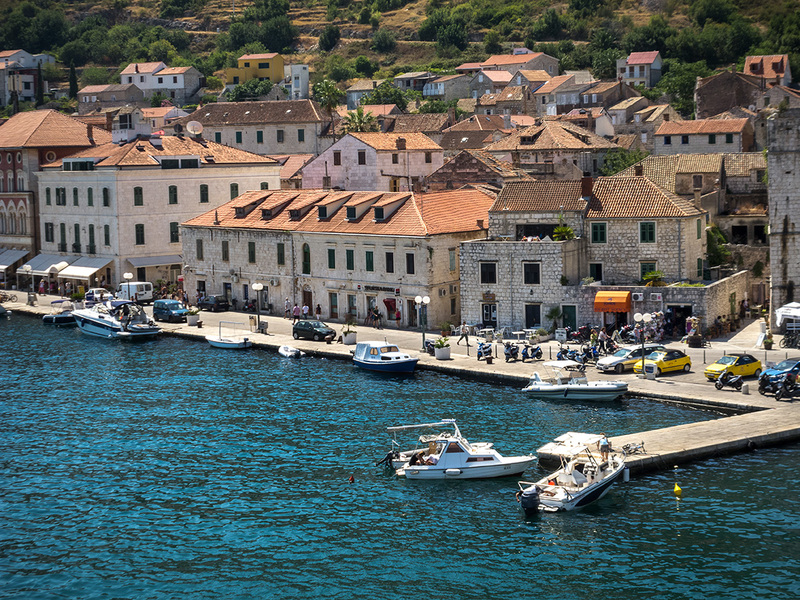 Komiža lies on the western coast of Vis, which makes it the sunny side of the island. It is a town with a rich maritime history, famous for its fishermen and traditional Falkuša boats. There are many beaches around Komiža and during the sail from Vis you can stop by the Green Cave, Stiniva Bay (voted one of Europe’s top beaches) and Kamenica is another beautiful beach to add to your itinerary. If you wish to visit the Blue Cave, Komiža town is the best location to do a tour from. There are organised daily tours, which you can arrange on the day, tickets cost around 70 kuna for entrance. A restaurant-must in Komiža is Konoba Bako or Jastožera – famous for their lobster and fresh fish. 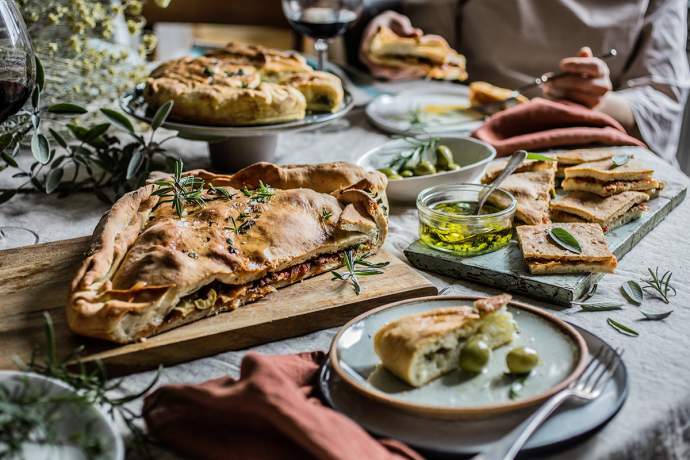 Otherwise stroll the streets and pick up a ‘cheap eat’, ‘Pogača’ is a famous, traditional local pie – you won’t regret it. Hvar, another name you have most definitely heard of – it is the longest island, the 4th most populated, the sunniest island, it was founded by the Greeks in 384 BC, the Stari Grad plain – first cultivated by the Greeks, is now a protected UNSECO Heritage site, Hvar town boasts buildings and architecture from the 16th and 17th Century… Basically, it is an island filled to the brim with culture and history. 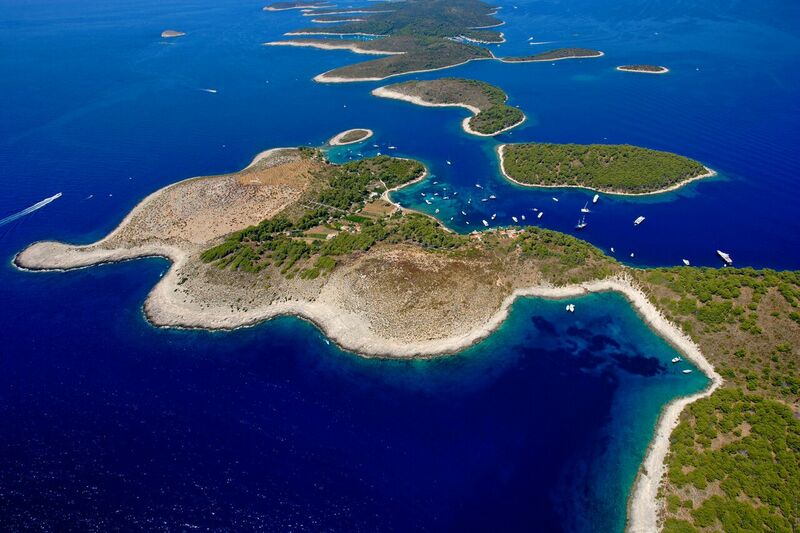 The Pakleni islands are on the SW coast and opposite Hvar town – a gorgeous ‘necklace’ of islands adorning Hvar. There are numerous bays and islets to find safe anchorage; Sveti Klement island is the main island and you have the option to moor in the turquoise Vinogradišće Bay – with no obligation to any restaurant. In saying this, we highly recommend visiting Toto’s Restaurant, an unassuming restaurant nestled in a botanic garden overlooking the bay. You can also dock at ACI Palmižana, more details here. Once again, you can spend the afternoon swimming or sipping cocktails in the lounge bars, then in the early evening stroll through Hvar town (you can take a tender across, or call a water-taxi). Walking up to the Spanish fortress is a must for impressive views out over Hvar town and the Pakleni islands. 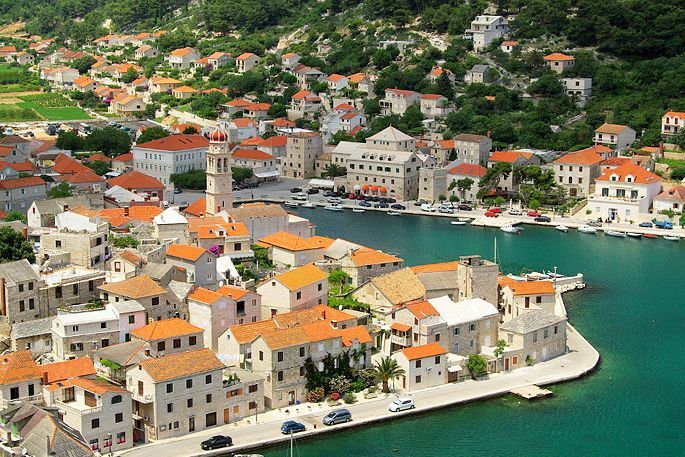 Hvar town is also known as the party town, so if this is your thing, you are not short of choices. Otherwise, enjoy dinner at Giaxa, Lucullus or Rozeta Sushi for something different and follow the musical notes for live music or entertainment. Šolta, another lesser-known destination, but it holds its own in terms of a charming Dalmatian island. Šolta dates back to the Neolithic period and has had a rich history since; it is only 19 km long and 4.5 km wide, but what this islands lack in size, it makes up for in charm, culture and tradition (good things come in small packages right?) You can read more details about Šolta by a local here; but our top picks – do an olive oil, honey, wine tasting (yes some tours tie it all in one) and spend the evening at Martinis Marchi, a luxury heritage hotel, with a beautiful al fresco dining terrace. Start early to set your heading back to Split for a (typical) 9 am check-out, there is only 13 nautical miles to Split, so you still have time to have breakfast before you leave. 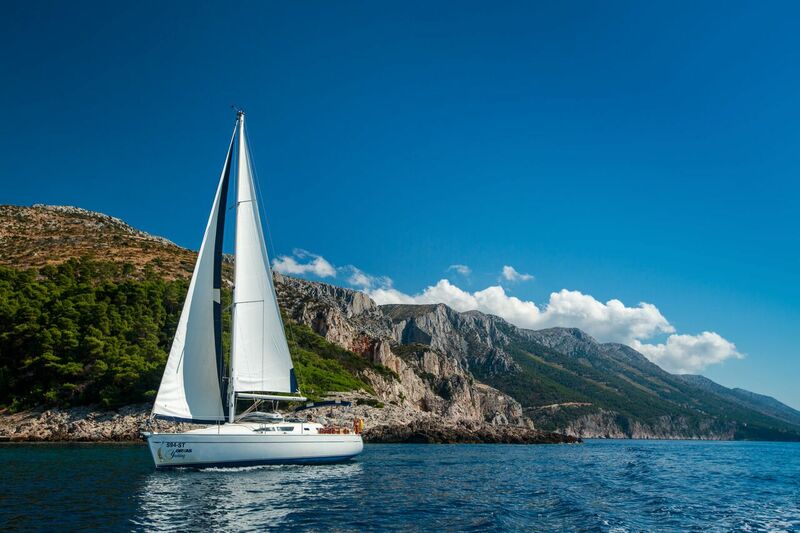 And there you have it, a one-week sailing itinerary, covering approximately 143 Nm, with some of our best advice to make your Croatia sailing experience as rich as possible. If you enjoyed this or if it was helpful, we would love to know – or do you have advice on how it could be better? We’d love to hear it, feel free to message us or share your stories and pics to our Facebook page.